I'm sharing another card today using some stamps from Simon Says Stamp. The favorite flowers stamp set from Simon Says Stamp has really fun, whimsical flowers that inspired this card. 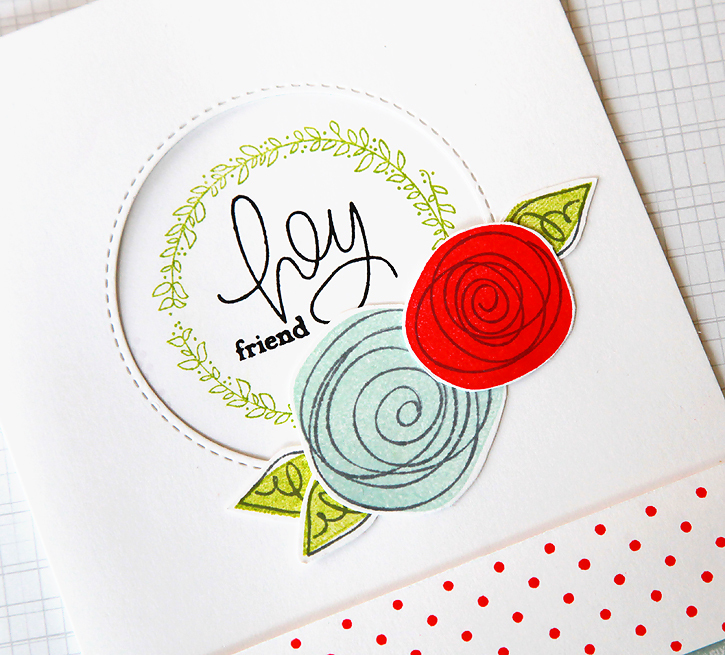 The dot border is from the friendly flowers stamp set. cut and score a standard card base - 4 1/4 x 5 1/2"
cut a strip of patterned paper 3/8 x 4 1/4"
I didn't realize that the wreath stamp has a top when I was stamping it, but I like the way it looked sideways so I left it. 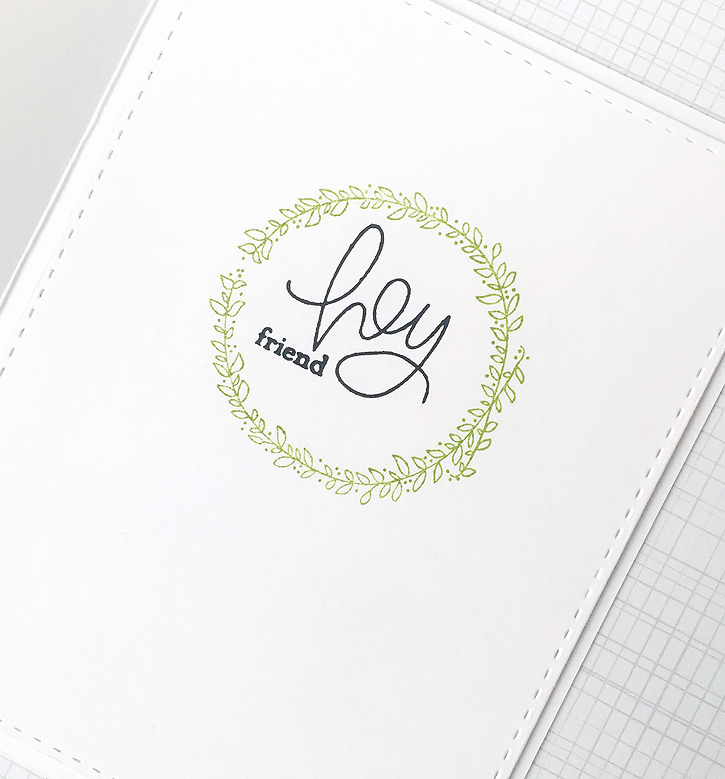 :) I stamped the sentiment in Versafine black ink, but I wanted the doodles on the flowers and leaves to be more subtle so I used Color Theory clean slate. I really love the way the stitched circle die from MFT leaves a stitched border on the outside of where the circle is cut (which I love!). There's also a stitched border on the edge of the inside of the circle. I saved that piece for my next card. You may have noticed that my last few posts have all been about cards. I'm really enjoying making cards right now so that will probably be mostly what I share for a little while. After documenting my life with Project Life for five straight years I'm taking a short break! I'm still taking photos regularly so I have them when I'm ready to start again, but for now I'm having a blast playing with stamps and dies and making cute cards! 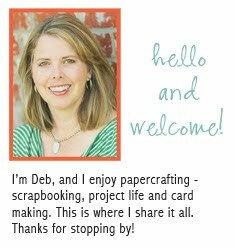 And today I'm entering my card in the Simon Says Stamp Monday Challenge! the whirls on the flowers are really sweet! Not only is your card great, your photographs of it are beautiful. Love the clean lines of the card. Gorgeous card. Thanks for the tutorial. Loving this card so very much! It's simply fantastic and I love how it all came together. Thank you for sharing with us this week at the Simon Says Stamp Monday challenge blog!